Workers Compensation law, which is regulated on a state-by-state level, covers medical bills, lost wages, disability and vocational rehabilitation services for employees injured on the job regardless of whether the injury was the workers own fault or not. When an employee is injured on the job and reports it to their employer, the employer's Workers Compensation insurance carrier should provide all the benefits that the injured worker is entitled to. Unfortunately, problems generally arise and take many different forms. When problems do arise, You Need a Workers Compensation Lawyer to advise you and fight for your legal rights. One problem that is generally seen arises out of the workers hesitation to report the injury in the first place. Many workers fear that by reporting an injury, their employer will discriminate against them for getting hurt on the job and claiming benefits. The discrimination they fear may come in several forms, including termination, demotion, a cut in hours, or verbal harassment from the employer. Under Workers Compensation Law, any form of discrimination for getting hurt on the job and reporting a claim is illegal and comes with civil and criminal penalties against the employer. Despite discrimination being illegal, the practical reality is that workers are afraid to report and do not report the injury. If you are injured at work and fail to report your injury in a timely manner, questions will arise over whether you were actually hurt on the job or hurt elsewhere. 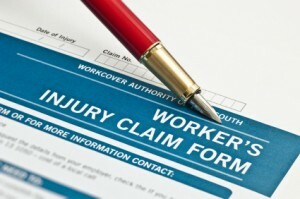 If the injury did not happen on the job, it is not covered by Workers Compensation. Failing to properly report an injury provides justification to the Workers Compensation insurance company to completely deny benefits. 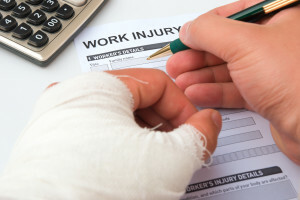 Injured in a Work Related Injury? If you have been injured at work and sincerely fear that you will be discriminated against for reporting the injury, You Need a Workers Compensation Lawyer. The Workers Compensation Lawyer will be able to position your case so that any discrimination will be deterred under threat of strict punishment under the law. Also, if you have failed to report an injury for a period of more than a day, You Need a Workers Compensation Lawyer because it is likely that the Workers Compensation insurance company will deny your injury on the basis of failing to report it. A second problem area that is generally seen arises out of the worker sustaining a cumulative trauma injury. A cumulative trauma injury an injury that arises and worsens over time from engaging in repetitive work activities. Many workers do not understand that they are entitled to Workers Compensation benefits in the event they are injured due to repetitive work activities such as engaging in lifting, pulling, twisting or typing over a period of time. Even when an injured worker knows they are entitled to benefits from a cumulative trauma injury, it is often very difficult to get the proper regime of Workers Compensation benefits. Workers Compensation insurance companies deny cumulative trauma injuries on a wide scale. When benefits are provided for cumulative trauma injuries, the benefits are usually limited to a few treatments with a doctor who quickly sends the injured worker back to work. Because cumulative trauma injuries are harder to prove than other types of injuries such as a slip and fall, a lawyer is often needed to win such claims. If you have or believe you have a cumulative trauma injury, You Need a Workers Compensation Lawyer. These are just a few situations where you Need a Workers Compensation Lawyer to help you get the proper benefits under Workers Compensation. 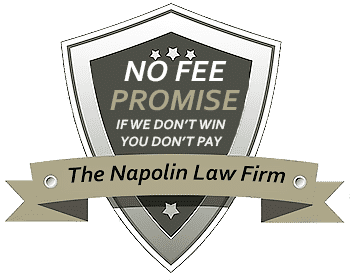 For more information about Workers Compensation Law visit NapolinLaw.com or call us at 909-325-6032.